Built for the Expand the Winter Village contest over at Eurobricks, this barn house fits in perfectly with the existing Winter Village theme. Though there are some great entries this year, if it were up to me, this would take the win. Builder Kristel has done a wonderful job of keeping the feel of the original theme and giving us something great to add to our villages. 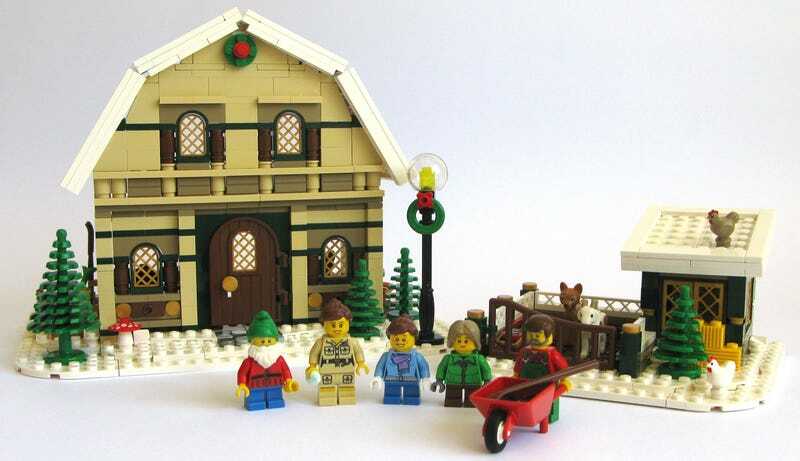 I'd love to see this set show up on Lego Ideas or Cussoo Brick after the contest.